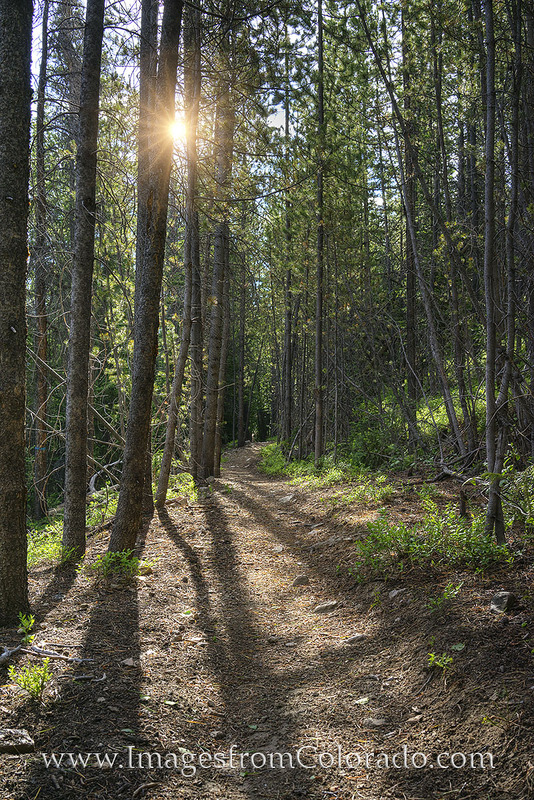 On a hike near Winter Park, Colorado, sunlight streams through the pine trees, filling the trail with warmth. I know each morning in the summer, the sun hits this area just right, making for a sunburst and nice path through the forest. Photo © copyright by Rob Greebon.